More than half a billion women have joined the world’s labor force over the past 30 years, and women now account for more than 40 percent of workers worldwide. This has brought about increased productivity and many positive effects. Education is probably the key driver in bringing about this social transformation. Naga society is patriarchal. The name of the family is carried by the son; it is the male child or the male children who inherits the family properties. The male child is the head, whereas a female child when she marries takes the name of her husband’s family. Generally, gender disparity and gender inequality in Naga society has been more or less systematically practiced and is strongly legalized by tradition. Traditionally, Naga women are more disadvantaged politically, culturally, economically and have less access to control over productive resources due to socio-cultural factors, exclusion in decision making and lack development intervention. 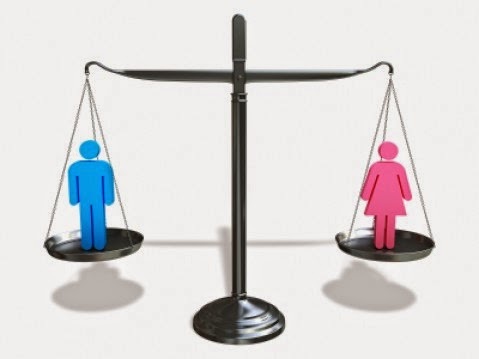 Gender equality is the measurable equal representation of men and women. It does not imply that they are the same, but that they have equal rights of value and should be accorded equal treatment. It also means equal in terms of worth, visibility, empowerment and opportunities. Naga society has always been classless and caste-less. Up to some extent, women enjoy certain privileges. Women are not literally harassed. They play a pivotal role in both family and community affairs. They enjoy a certain degree of freedom. However, since Naga society is patriarchal with a tradition of strong warrior values, it was considered an honor to be born as a man. The traditional culture and custom require Naga women to be obedient, humble and also perform the role of a wife, mother, child bearer, food producer and household manager. She also supplemented the household income by weaving colorful shawls, an activity performed exclusively by women. However, women could not inherit property from their parent’s household nor allowed to participate in decision making bodies such as the village assembly, citizen forum, village council etc. Even in eating habits, women were not expected to eat the choicest portion of the meat. In Easterine Iralu’s Fictional Novel, “A Terrible Matriarchy” we find young Dielieno who is five years old and sent to stay with her disciplinarian grandmother who wants her to grow up to be a good Naga wife and mother. According to her grandmother, girls don’t need any education, they don’t need love and affection, or time to play, or even a good piece of meat with their gravy. In the past, it was a taboo for women to cross the arena where men were wrestling. However, that was broken in 2000 and now we find women being allowed to participate in wrestling which was exclusively male in the past. Also, it is forbidden for women to touch tools or arms belonging to men in the past, as it was considered bad luck. But in modern times, women are in fact turning to the armed forces as a career option. Another taboo is that according to many Naga culture and tradition, a damsel could not grow her hair long until her marriage, as it was a sign of married woman and their identity. Today, this is extinct due to modernization and Christianity. Unlike women-folk, men were considered to be the head of the family. He had the right to inherit property; they were the decision makers of the village or clans. In some cases, when no male child is blessed to the couple, the husband is entitled to divorce with his wife. Traditionally, the majority of parents attitude were found to be more positive towards male child than female child. With the entrance of the Western Baptist Christian missionaries in the Naga Hills massive changes were brought about in the social, religious and cultural life of the Naga people. While spreading the new faith among the animist Nagas and indoctrinating them with Christianity, the missionaries laid the foundation for an educational system. The main objective behind establishing schools in the Naga Hills was to prepare fertile ground for the growth of Christianity by producing native preachers and Church Pastors. American missionaries like E.W. Clark and S. Rivenburg were amongst the first pioneers to lay the foundation of education in the Naga Hills. By 1904-1905, Naga people understood the significance of education and numerous activities in this regard increased during this period. When we make a comparison between tradition and contemporary society, education has brought about drastic changes in every sphere of life in Naga society. Consequently, Education is playing a vital role especially in changing the status of women in our society, where we find that women, in spite of all the hardships are now outshining the men folk in many areas. Here, I’m proud to mention some of the Naga women to make a name in different fields through education like Ms. Rosalind Sokhrieno Lungalang who was the first female Graduate amongst the Naga women, Dr. Imtitemsula from Changki village became the first lady to complete her Ph.D. Degree in 1983, Shmt. Banuo Z.Jamir with the pristine powers of head, heart and hands, is the first Naga lady I.A.S officer and also the first lady to be Chief Secretary of Nagaland and so on. Education has allowed women to get into high-level jobs and provided access to new economic opportunities. In contemporary society, we will find that Naga women are successful business women, engaged as doctors, teachers, architects, engineers, administrative officials, lawyers etc. We also find many school girls are topping the HSLC and HSSLC exams like Miss Omegali [topper of HSLC 2010], Kaholi (topper of HSLC 2013) and Tziesetuonuo [topper of HSSLC-Arts stream]. Once upon a time, women had status or position in society based on their father’s/husband’s or brother’s statuses. But today because of education many women have been able to stand on their own. They are economically independent and likewise have more opportunities even in the socio-political field also. If we look at the journey of women, we find that she has risen in spite of all the impediments like male arrogance coupled with tradition that sought to bind her at home. Many Naga girls and women have risen above all these constrictions and carved a name for themselves in the male dominated society. Women are now venturing into professions which were formerly male dominated. However, a lot needs to be done if we are to bring about true equality. Educated women can guide and train their children better to become sensitive and responsible citizens. The women we are talking about could be your own sister, mother, wife or your daughter. All of us were once inside her womb for nine months and cared by her until we became independent and self-sufficient. Give her a chance and let her prove her capacity by providing her with equal opportunity to create and help build a stronger, better Nagaland. NOTE: Naga traditional practices and customs mentioned above may differ or have slight variations between villages/tribes. “Degree of Thought is a weekly community column initiated by Tetso College in partnership with The Morung Express. Degree of Thought will delve into the social, cultural, political and educational issues around us. The views expressed here do not reflect the opinion of the institution. Tetso College is a NAAC Accredited UGC recognised Commerce and Arts College. For feedback or comments please email: admin@tetsocollege.org”.